JoAnne Maenpaa K9JKM, AMSAT Vice-President User Services, reports that LightSail-1 has stopped transmitting on 437.435 MHz. She says: Just read on-line at http://planet.ly/0gVop (Planetary Society) that the LightSail satellite stopped transmitting. The team is attempting a reboot.The telemetry data is sent on a downlink of 437.435 MHz, AX.25, 9600 bps FSK. As of late Friday afternoon, LightSail was continuing to operate normally. The spacecraft’s ground stations at Cal Poly San Luis Obispo and Georgia Tech were receiving data on each pass. Power and temperature readings were trending stably, and the spacecraft was in good health. But inside the spacecraft’s Linux-based flight software, a problem was brewing. Every 15 seconds, LightSail transmits a telemetry beacon packet. The software controlling the main system board writes corresponding information to a file called beacon.csv. If you’re not familiar with CSV files, you can think of them as simplified spreadsheets-in fact, most can be opened with Microsoft Excel. As more beacons are transmitted, the file grows in size. When it reaches 32 megabytes-roughly the size of ten compressed music files-it can crash the flight system. The manufacturer of the avionics board corrected this glitch in later software revisions. But alas, LightSail’s software version doesn’t include the update. 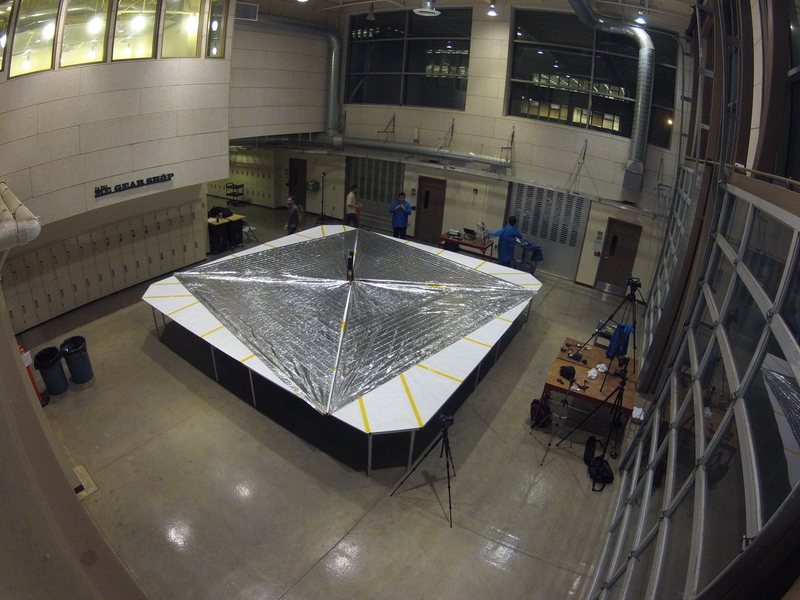 Late Friday, the LightSail team received a heads-up warning them of the vulnerability. A fix was quickly devised to prevent the spacecraft from crashing, and it was scheduled to be uploaded during the next ground station pass. But before that happened, LightSail’s automated chirps fell silent. The last data packet received from the spacecraft was May 22 at 21:31 UTC (5:31 p.m. EDT). Keps for the CubeSats but which object corresponds to which satellite ?